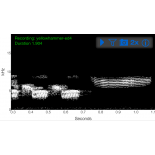 Sonocord is an invaluable tool for those investigating bird calls and bird song, whether in the field, at home or in the lab. It can produce bird call sonograms within seconds. 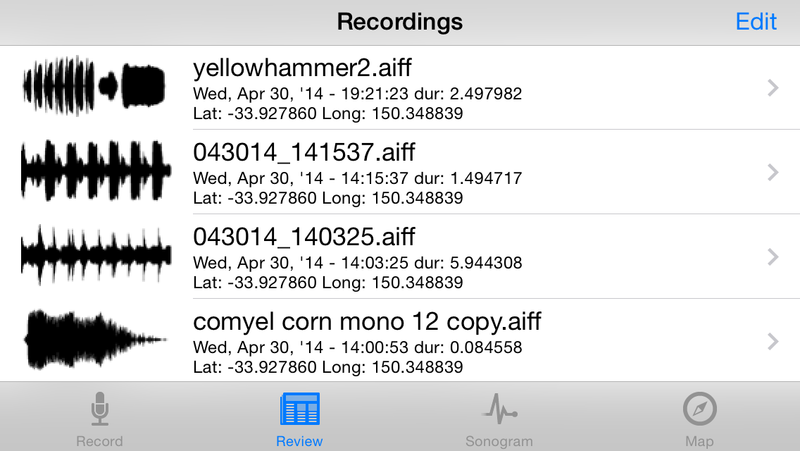 Sonocord is an iOS app for producing audio sonograms from short audio tracks. 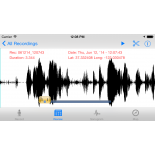 Sonocord can also record audio tracks and edit them. 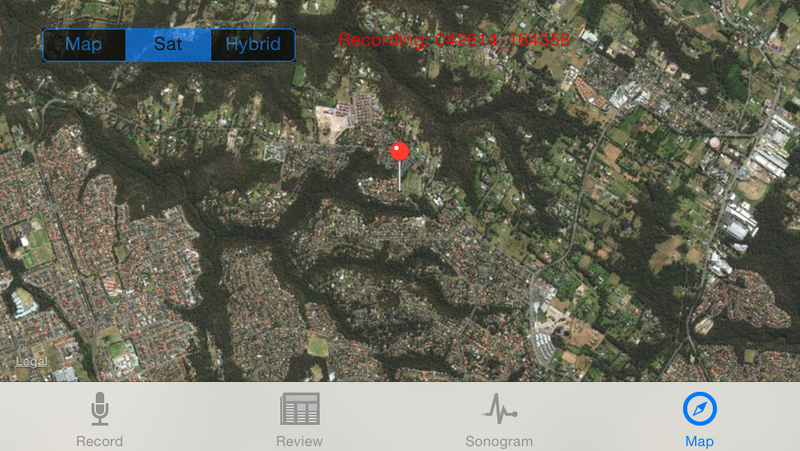 Where location services are available, the location is stored with the recording and can be displayed on a map view within the app. 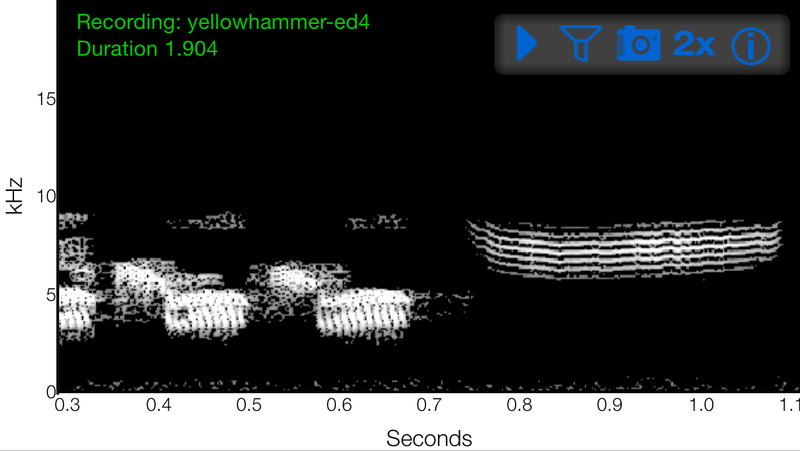 Experts such as Tom Stephenson have described in great detail the use of sonograms for identifying bird calls. (www.thewarblerguide.com). Sonocord has been designed specifically with this type of application in mind. 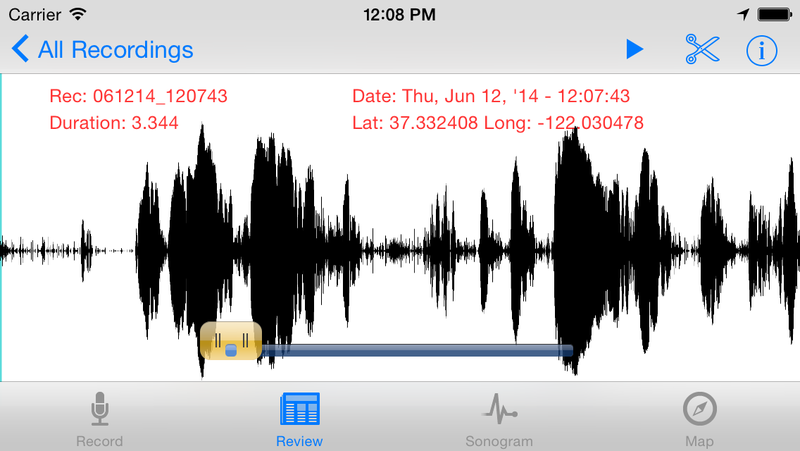 In the sonogram view, an audio sonogram is displayed with the full duration of the track spanning the width of the device screen. The time in seconds is shown on the x axis, and the frequency is shown on the y axis. The track may be zoomed using fingers, and then panned over the expanded view of the sonogram. Filters can be applied to the sonogram image by tapping the Adjust Filters button, and sliding the upper and lower sliders to the desired contrast settings. A capture button captures the image as displayed including any zoom or contrast adjustments. This image can be found in the Photos App of the device. The captured image includes details such as track name, duration, and location. A pre-record Arm button is pressed to begin pre-recording of audio. When a sound of interest is heard, the user has 2 seconds to press the Record button to start the recording. The Stop button is pressed at the desired time, or the recording is stopped at the 10 seconds time. While a recording or pre-record is in progress a simple audio strength meter is displayed and a notice shows which state the recorder is in - ARMED, RECORDING or STOPPED. Tracks are timestamped, and a geographic location of the recording is noted where this is available on the device. 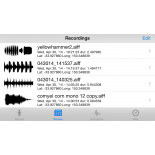 Existing audio tracks can also be imported using iTunes file sharing, and the sonogram of then displayed. This is done using the Import button. All tracks, whether recorded or imported are stored on the device and can be selected in this view. When selected the track can be immediately played in full, or a selection can be made and played in part, or trimmed to the desired selected length. If the device location services provided a location when the recording was made (or when imported), selecting this view will display a map with a pin dropped on the recorded location. 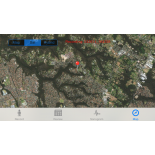 The map can be displayed in Map, Satellite or Hybrid modes.